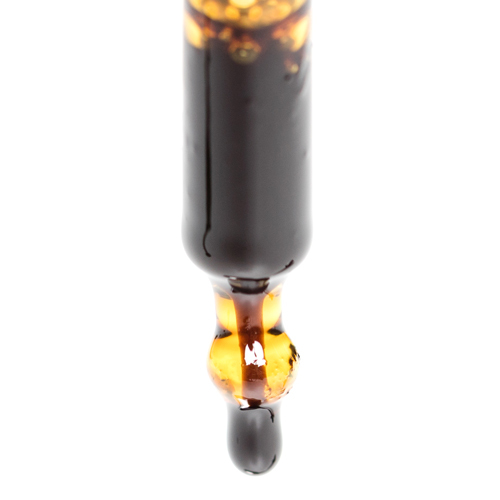 A recent announcement that the MHRA officially considers CBD medicine can be viewed as both a win and a loss for manufacturers and consumers. We take a look at how new changes might affect medical patients and what it all means for comprehensive cannabis legalisation. Early 2017, the ears of cannabis enthusiasts around the world prickled alongside a major announcement from the Medicines and Healthcare products Regulatory Agency. The organisation has now deemed cannabidiol (CBD) a medicine and will officially reclassify it as such. This unprecedented decision ushers in a bittersweet milestone for the UK. Although cannabinoids are finally being recognised as medically beneficial, current patients are now at risk of losing access to the CBD products they have come to rely on. This shift signals a comprehensive restructuring of CBD manufacturing practices, requiring increased supervision of CBD production by medical regulatory boards. These measures are enforced to ensure manufacturers comply with all the regulations detailed in The Human Medicines Regulations 2012. The self-proclaimed primary concern of the MHRA’s landmark opinion is to enhance patient safety by encouraging consistent and transparent CBD manufacturing and marketing procedures. Cannabidiol is the second most abundant cannabinoid found in Cannabis sativa L., the genus and species to both non-psychoactive and psychoactive cannabis strains. CBD is secreted from the resinous glands of trichomes, appearing in diverse concentrations from one strain to the next. This cannabinoid is noted to produce synergistic effects when used in concert with THC, lessening the side effects of psychotropic reactions. Often cited as the cannabinoid with the most medical potential, CBD continues to impress scientists with each development. In addition to its potential as a treatment for physical ailments like inflammation and chronic pain, CBD shows promise as an ingredient in medication used for anxiety disorders and other mental health conditions. These examples represent only a few of the many medical findings sourced from preliminary studies of CBD on both animal test subjects and human participants. Considering the historical lack of cannabis regulations in the UK, the MHRA’s decision to medically classify CBD came as somewhat of a surprise. The reasons are twofold: the call was primarily made in response to a worrying trend of reckless CBD manufacturers making grandiose medical claims about their products. However, the MHRA has finally admitted to recognising the legitimate potential of CBD on human health as detailed by years of scientific findings. Now, the MHRA requires that all licensed medicinal products meet safety, quality and efficacy” standards to ensure the health of the consumer. While this is an effective maneuver to quell irresponsible producers from selling misleading products, it also puts quality manufacturers at risk of losing their business. The new enforcements ushered in by reclassification appear after 18 CBD companies around the country received documentation of the MHRA’s opinion, forcing producers to shut down operations in medias res. From now on, a company must apply for a license or “marketing authorization” to produce medical CBD products. This comes alongside a whopping £103,000 fee to comply with new medical quality mandates. The MHRA will allow few special **exemptions to obtaining this authorization that will be handled on a patient by patient basis. Furthermore, manufacturers are forbidden from advertising any unlicensed products, even those allowed by exemptions. Under more stringent guidelines, CBD’s medical efficacy as determined by the MHRA will likely reflect a more narrow field of treatments for the time being. As of yet, the organization have been tight-lipped on what they believe CBD is most effective in treating. They have however released a general statement revealing findings that CBD has a “restoring, correcting or modifying” effect on “physiological functions” on humans. What is being cited as a significant flaw with the new mandates is the lack of interim ordinances allowing consumers to continue purchasing CBD products with ease. While the MHRA are admitting to the medical potential of CBD, they are simultaneously undervaluing existing CBD patients by limiting their access with little warning. Ironing out all of the issues associated with this overhaul are sure to take time, especially with the proposed clinical trials and manufacturing tests set to be performed on all CBD medicines. Some patients are worried just how long they’ll have to wait for the newly regulated medicines to become available for purchase. In the case of those using CBD for severe health conditions like Dravet Syndrome, lack of CBD access can have extremely harmful implications. There is pushback to the possibility that large entities may drive an increase in CBD prices, inspiring less accessibility to products for those with low incomes. Up until this point, CBD has been classified as a dietary supplement in the UK, so long as it did not contain psychoactive cannabinoids. Under this limited categorization, there was less oversight but also a rampant lack of quality assurance. Under new laws, manufacturers will not be able to cut corners and sell inferior CBD at the same frequency. IS LEGAL CANNABIS JUST AHEAD? One benefit of CBD being accepted as medicine is a step toward loosening stigma against cannabis in general. The hope is that CBD will spur an open conversation about decriminalization and legalization. Although the most abundant psychoactive compound THC has yet to be medically recognized, this decision very well could mark a step in the right direction for normalizing medical cannabis use in the near future.